I’ve been releasing mostly piano-based music since 2000 and performing originals since 1998. I came to point in the last few years where I just wasn’t motivated to create music on the piano. Two nights ago I dreamt that I took a table saw to a grand piano, starting to cleave it right in half. I have felt drawn to rock louder and returned to my first musical love, the electric guitar. I was a child of grunge and “alternative” … coming into the 90’s listening to Juliana Hatfield, Belly, Smashing Pumpkins, Nirvana, but especially the lady-led groups.. My new music is an homage to my roots in lady-fronted rock. It is, as someone who heard a demo said “Unlike any Mary Bue I’ve ever heard.” It is taking an artistic risk very different from my old work, changing it up, like “Bob Dylan going electric” as a friend said. HAHA! To create is to give birth to something. It is a labor of love. It is MAKING SOMETHING OUT OF NOTHING, something that never was. 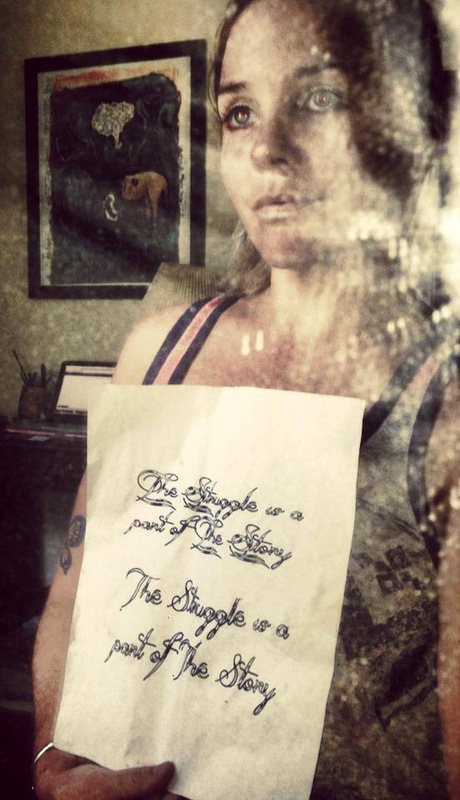 You are plucking an idea out of the ether, and crafting it into something tangible – words, a painting, a song. Now, you can feel free to keep that creation to yourself. That is totally valid. You can do art for healing, for meditation, for self-expression & release. In fact, please do! Make sand mandalas, doodle, create self portraits! Further still, some of us have the gall and the gumption to put our work out into the world. Who made us so important? Who do we think we are???!!! I’m not sure how to answer that question, but I’ve always felt an urgency to create. From writing weird, illustrated stories at age 7 to putting on puppet shows for my parents, to ballet, tap, talent shows, acting in middle school, eventually to the drive to perform my own music in public … it’s been an uphill battle of shyness. Those puppet shows? I would tell my parents to sit on the couch in the room with me but “not look at OR listen to me” while I proceeded to put on elaborate stuffed animal theatrics … I still sometimes feel that my approach to performing is such – those shows where I’m more “background dinner music” are certainly more comfortable than what I truly desire and am moving towards – full on stage show, pyrotechnics, hanging from the ceiling like Pink or something … !!! 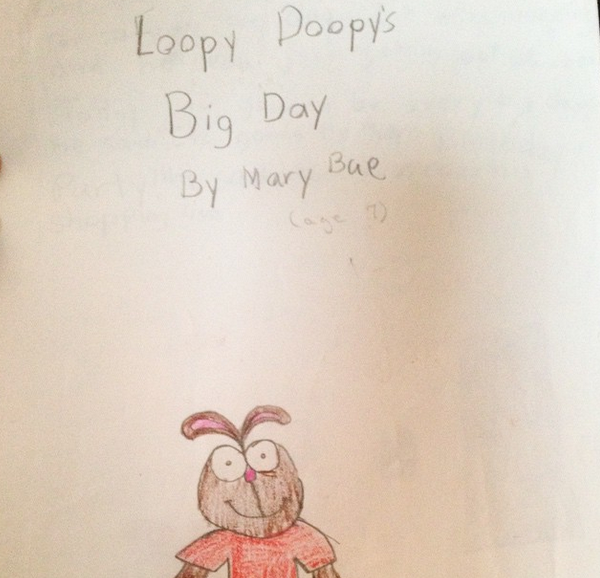 A story I wrote as a 7 year old and sold to my aunt Janet for 25 cents. I have suffered from depression, anxiety, self-criticism, shame, not-enough-ness, comparison, jealousy and crippling self-doubt. I’ve gotten bad reviews, lost friends & lovers, put myself in the path of dangerous & traumatic situations, sought therapy and had people surely wonder why the hell I’m still making music for a living. But on the other hand, I’ve had people tell me the music got them through a bad time. Or a kid told me and Michael Jackson are his two favorite artists! WHOA! Moments like this make it worth it, plus the joy of creating music itself … What brings you to love the art that you love? What music has gotten you through the rough patch? Do you feel grateful for the art having been there to see you through? And the good times too? So why do artists do what we do, facing nearly insurmountable masses of judgement, the crowds of strangers waiting to gossip, the RISK of creating what sleeps in our psyches?